It is quite sad to think that even though a tremendous action (is battle the right word here?) took place, scores killed and wounded on both sides, heroism unparalleled in modern history and what are we left with? A film, a magnificient film, but a film nonetheless. Such is the curse of the modern era and the plight of the historian, to encourage remembrance of such fantastic valour through the lens of dramatisation, but still tempered with a touch of realism. But what is the historian to do when even Hollywood fails to evoke the same admiration it used to? Such is the problem facing the film Zulu http://www.imdb.com/title/tt0058777/. Loved at the time of its release in 1964, it has since become a classic of Christmases and long weekends, time where the great Defence of Rorke’s Drift can best be appreciated from the comfort of one’s armchair, watching a young Michael Caine rally his men to face the sea of Zulu warriors. And we must not forget THAT song! https://www.youtube.com/watch?v=1csr0dxalpI Never mind the fact that it didn’t happen quite that way…..(The South Wales Borderers would not exist for another two years yet, the Singing of Men of Harlech….didn’t happen and the Zulus withdrew when the British relief force approached). But leaving all the inaccuracy aside for a moment, Zulu has been largely forgotten, especially in South Africa. Historical epics such as Braveheart, Michael Collins and *shudder* 300 have inspired generations of young and old alike to take up studying their own national histories and piecing together the rich fabric of their own past. 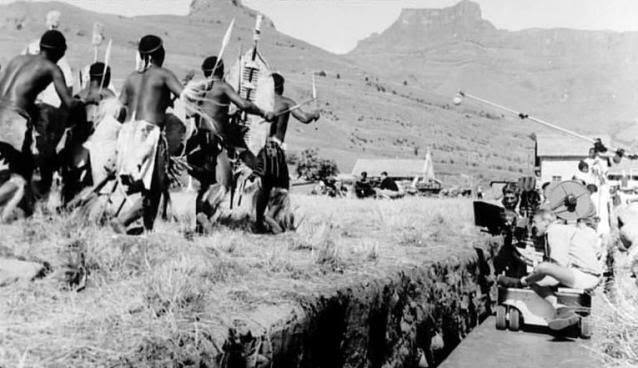 While the Battle (read Slaughter) of Isandlwana was covered up by the British authorities, with Rorke’s Drift being immortalised in its place, a question is posed: why do South Africans shun a film, which despite the odds, portray the zulu army in a positive and dynamic light? The answer may lie in the fact that as a society South Africa was marred terribly by the events of that war, a needless and stupid exercise by the British. 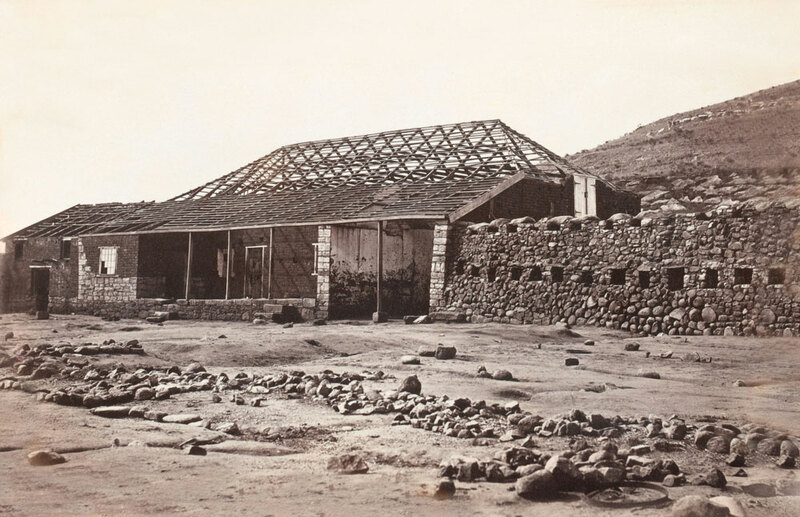 The difficulties did not rest there and apartheid policies emerged from the Anglo-Boer Wars, becoming cemented in the latter half of the twentieth century. For young South Africans, ANC members desperate for a shred of legitimacy, they could identify with the Zulu warrior tradition, but never with the loss to the white army on that day. Subordination was not an option. 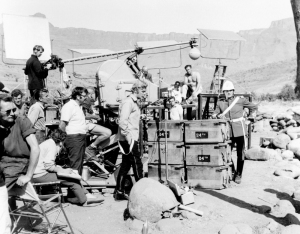 In the post apartheid era, Zulu falls between two stools if you will; it is a memorable piece of cinematic history (on set no distinction was made between black and white), but it showcases the beginning of the long decline in the fortunes of the black African. Therefore if you are white and a fan, it must imply by association that you tacitly approve of such messages. All in all it is a shame. It is a wonderful film, truly a product of a different era, a wonderful watch and thought provoking. Perhaps in another thirty years South Africans will be encouraged to enter into cultural revisionism and rehabilitate this classic. This entry was posted in Britain, Commemoration, Conflict, Empire, Memory and tagged Gonville Bromhead, Harlech, Isandlwana, John Chard, Michael Caine, No. 5 Field Company, rorke's drift, Royal Engineers, South Africa, Stanley Baker, Welsh, zulu. Bookmark the permalink.